Sublime is a non-invasive skin tightening procedure featuring the revolutionary elos technology that enables you to comfortably achieve a more youthful, toned and lifted appearance without downtime. Sublime is a complete anti-aging solution for targeting those telltale signs of aging, including, jowl and neck laxity, sagginess under the eyes, saggy brow lines, and nasolabial folds. Unlike conventional laser skin tightening treatments that are time and treatment intensive and often too painful for many patients: ReFirme offers virtually painless and fast treatment for sagging and wrinkled skin. Skin rejuvenation safely lightens and diminishes pigmented lesions, sun spots and vascular capillaries. A gradual and accumulative improvement of skin tone is generally achieved between 4-6 treatments dependent on the condition of the skin. A series of treatments is recommended to target the deeper underlying pigmentation. The treatments are safe and non-invasive with little to no downtime. Achieve your glowiest skin yet with this fantastic treatment combining microdermabrasion to exfoliate and smooth the skin, plus combining it with a Nd:YAG laser treatment to give your skin a radiant laser glow. This treatment evens out skin tone/texture and reduces redness. No downtime. Suitable for all ages and skin types. Sublative Skin Rejuvenation is a new kind of safe and effective cosmetic technology that works on virtually all skin tones. It is neither laser- nor light-based. Instead, it harnesses the power of fractionated bi-polar radio frequency (also known as gentle energy currents) to deeply penetrate the skin and stimulate collagen production beneath the surface while keeping the outer layer of skin intact. Sublative results are immediate and continue to improve over the course of a few months. Sublative rejuvenation is a new kind of safe and effective cosmetic technology that works on virtually all skin tones. Mild to moderate wrinkles and superficial skin discoloration are reduced, and skin texture becomes more smooth and elastic. Unlike other non-aggressive procedures like Botox, fillers or chemical peels, Sublative works from within. It is based upon the same type of ultrasound used for body scans and tests during pregnancy. Energy from the ultrasound, when used to treat sagging skin, activates the production of new collagen. Physicians have long used different types of energy to stimulate collagen and tighten the skin. Although considered non-surgical, Titan, Thermage and Fraxel are aggressive procedures that require weeks of downtime. In essence, they overheat the top layer of skin to the point of complete ablation (removal). This forces new skin to develop, but the process is slow and painful. The number of people whose skin visibly responds to the treatment is much lower, as these treatments are not recommended for all skin types due to possible complications. 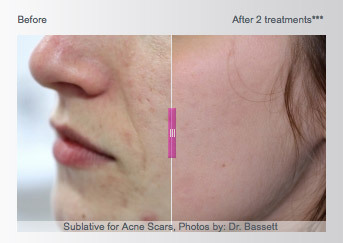 Sublative produces the same kind of results as aggressive procedures without the pain, downtime, side effects or cost. There is no visible injury to the skin’s outer layers. Focused energy currents are applied to the skin in a matrix, bypassing upper layers of the skin and stimulating the natural production of collagen at the source. This “resets” the body’s regenerative process, which is why results continue to improve over time. 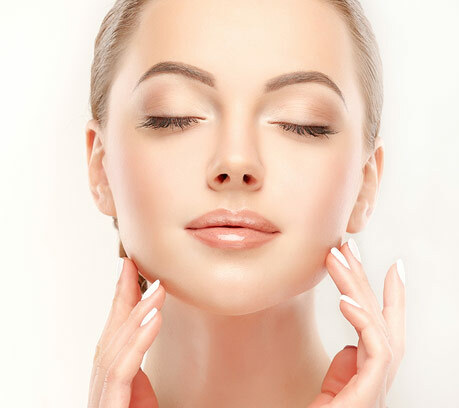 Gentle heat is delivered at the underlying connective tissue where the skin joins the muscle—the same layer that is tightened during a conventional facelift. This tissue is gently heated, causing it to contract and eventually lift. As a result, formerly loose skin appears subtly tightened. Sublative is an intelligent technology. Doctors are able get feedback on how the energy is impacting the underlying layers of skin on a screen during the procedure, so the treatment can be precisely targeted. Radio frequency waves penetrate the skin through small pin holes to stimulate collagen growth from the inside. Sublative sessions are less than one-hour long. For optimum results, three visits are advised 4-6 weeks apart. 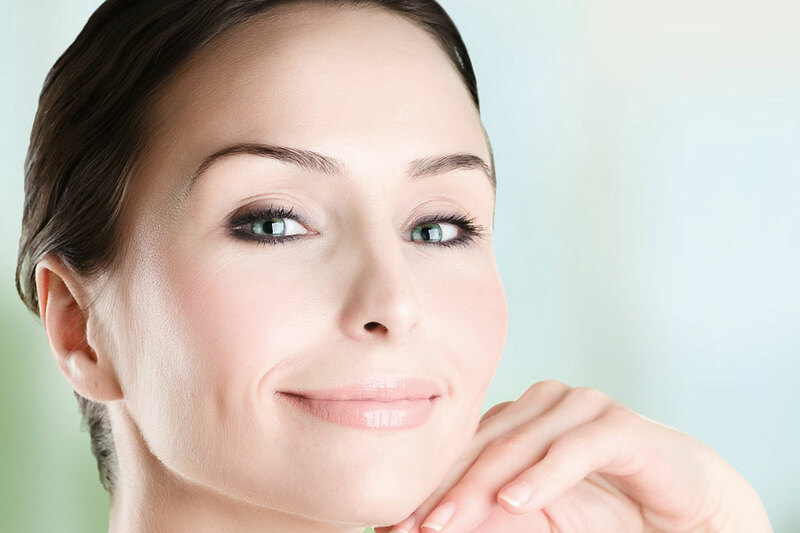 Each treatment produces incremental improvements to the gradual formation of collagen and, as a result, gradual improvements to your appearance. The total number of sessions depends on your skin’s condition. As energy enters the skin, some patients experience a warm, prickly sensation comparable to a rubber band snap, depending on the areas treated and energy settings. A red or pink flush resembling a mild sunburn is common after treatment. Topical anesthetic ointments and cool gels may be used to reduce temporary discomfort during treatment. Most patients report no serious after-effects like crusting or peeling and go back to work as usual following treatment.